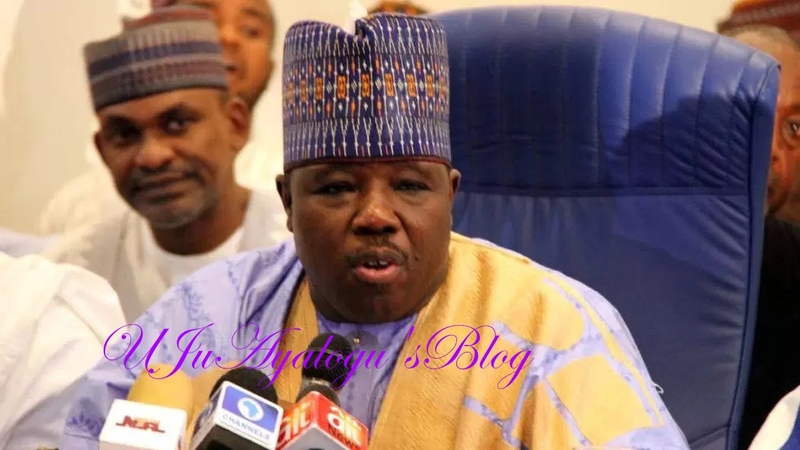 A federal high court sitting in Abuja on Thursday dismissed two defamation suits filed by national chairman of the PDP, Ali Modu Sheriff who claimed his character was defamed by publications signed by Borno State Attorney General and Commissioner for Justice, Barister Kaka Shehu Lawan. Justice Z D Senchi, who delivered the judgment, also awarded cost against Sheriff. Sheriff had claimed 10 billion naira damages for each of the two suits he filed as compensation for alleged defamation of his character. Lawan had in 2016 attended a legal conference in Port Harcourt during which he made presentation with respect to genesis of the Boko Haram insurgency, alleging that as then Governor of Borno State, certain actions of Ali Modu Sheriff played a key role in giving birth to the crisis. Following media reports on Lawan’s presentation, Sheriff challenged the lawyer to publish evidence in support of his claims. Lawan then published advertorials in two Newspapers, Daily Trust and Punch, listing “40 facts” with dated chronicles of the Boko Haram crisis which point to how alleged mishandling of events by Sheriff as Governor of Borno State between 2003 and 2011 gave birth to ongoing violence perpetuated by Boko Haram insurgents resulting in endless killings. At resumed hearing at the high court number 19 in Jabi where a suit number FCT/HC/CV/2494/16 between Sen. Ali Modu Sheriff and Kaka Shehu Lawan and Media Trust Ltd. and a suit number FCT/HC/CV/2495/16 between Sen. Ali Modu Sheriff and Kaka Shehu Lawan, Punch Newspapers & 3 others were filed by Sheriff since 2016, defence counsels to the attorney general, Femi Falana, SAN, leading A.A Alfa Esq and Samuel Ogala raised a preliminary objection on the competence of the two suits. After extensive arguments, the cases were adjourned for ruling. In Thursday’s ruling delivered, the court upheld the objection and accordingly struck out the two cases with cost of 100,000.00 against Sheriff.